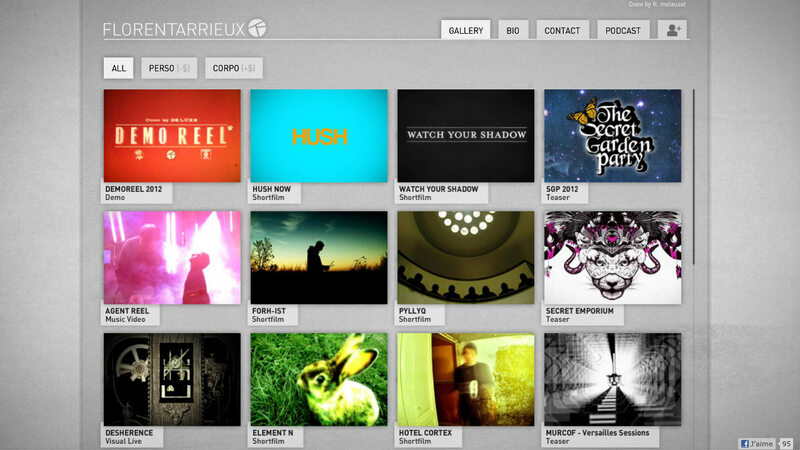 Florent Tarrieux is a humorous and talented video artist & musician. Because of the large number of videos, it was crucial to pay extra attention to the loading system. We decided to play with it and created a waiting room with cheesy music, where Florent could have fun with the introduction text. Of course the loading time is not too long, but his great humor makes it enjoyable to stay a little longer than needed. Florent needs to update his website frequently, so we made it easy for him to add projects and videos.